Sportskjutaren: The picture that didn't work. 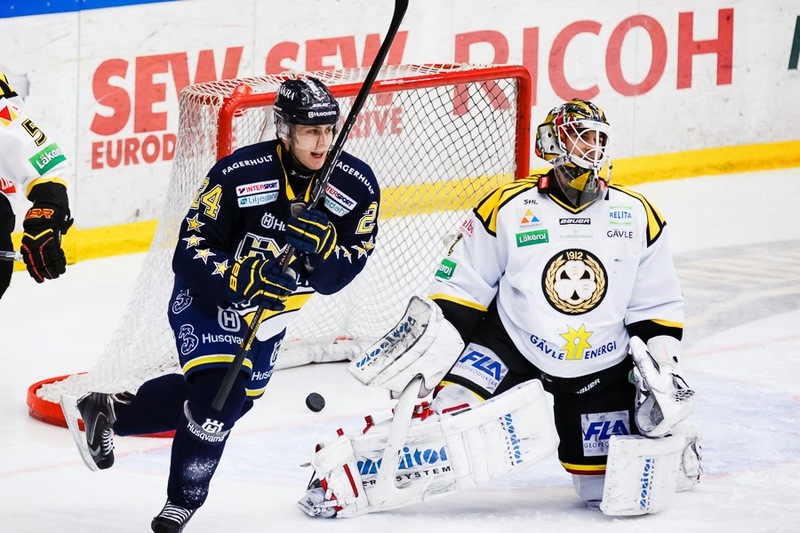 (Icehockey HV71 - Brynäs). The picture that didn't work. 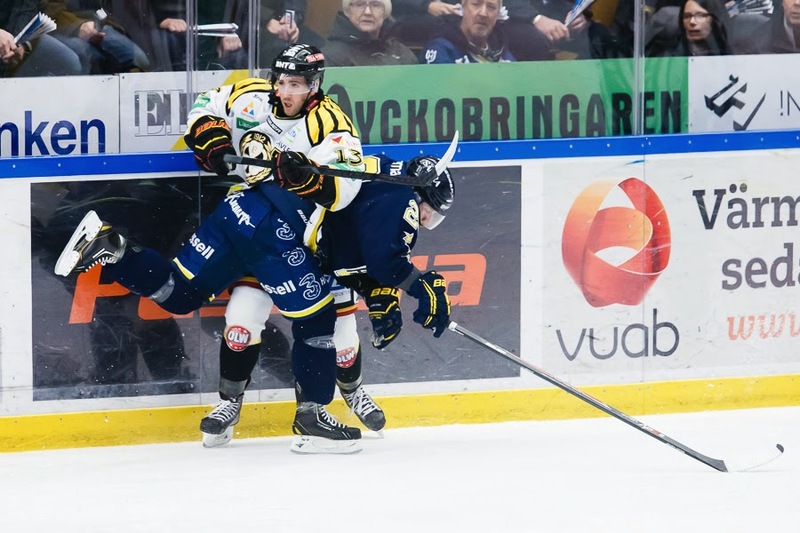 (Icehockey HV71 - Brynäs). Sometimes you think you have "the picture" from a game. Like i thought with the first picture below yesterday. 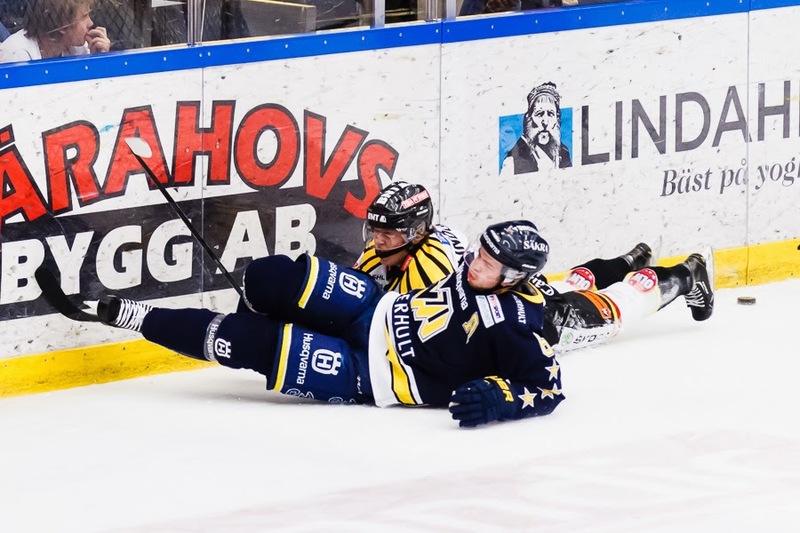 After 2 periods in the game between HV71 and Brynäs. 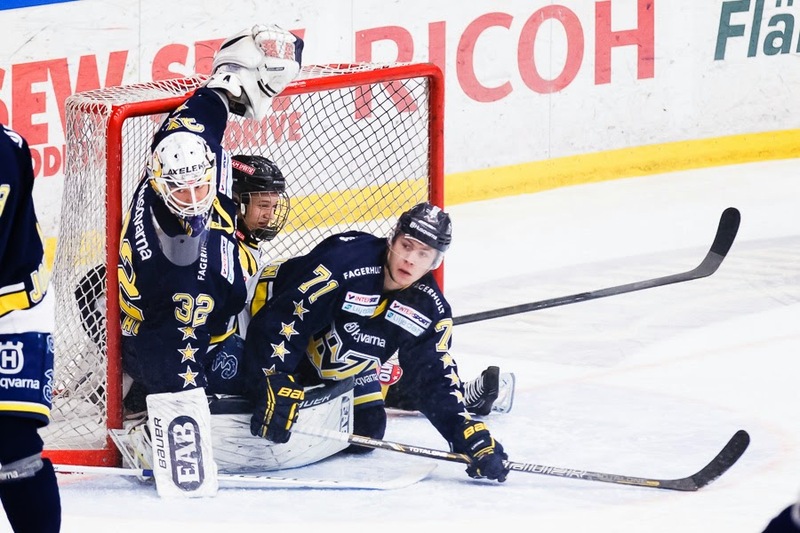 HV71 had a lead with 4-2. Eric Christensen scored three goals a.k.a. "hat trick". He is the guy that are shouting out his joy in "that picture". 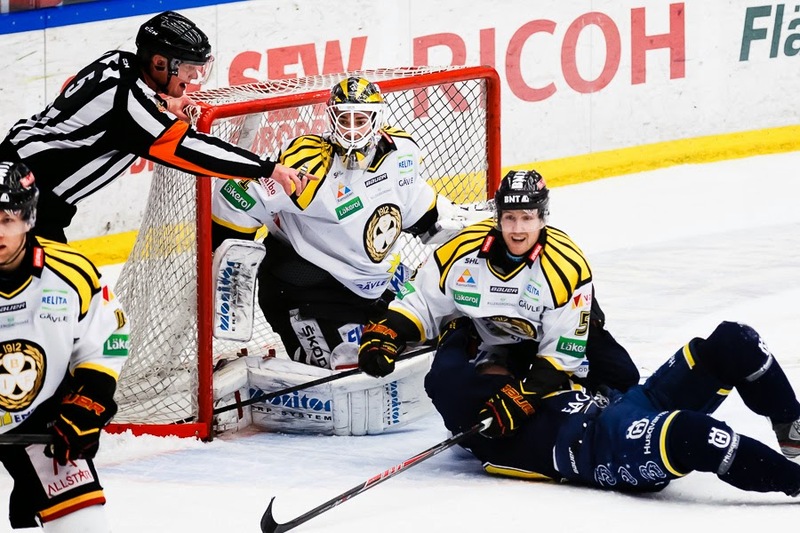 In the third period Brynäs scored two goal.